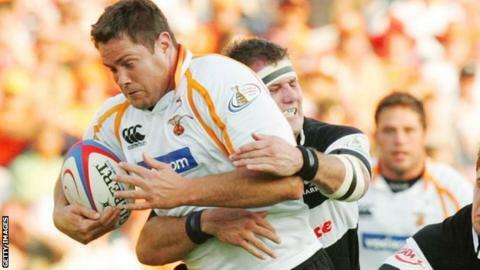 Premiership strugglers Worcester have appointed South African Rory Duncan to replace Carl Hogg as head coach when he leaves at the end of this season. Duncan, 40, is currently the head coach of South Africa-based Pro14 side Cheetahs. He played under Warriors director of rugby Alan Solomons for two seasons at Eastern Province Kings. Worcester are 11th in the table with three wins from 13 games, but are nine points above bottom club London Irish. Duncan said: "Warriors are a club with huge potential, which is clear for everyone to see, and I will be working hard with Alan and the rest of the coaching staff to help the club move forward." On Monday, former Scotland international flanker Hogg, 48, announced his intention to leave Sixways at the end of the season. Two more of Worcester's backroom coaching team, Sam Vesty and Simon Cross, are reported to be set to follow Hogg in exiting Worcester as part of a summer shake-up.